Welcome to the Philips Online Learning Center! Whatever your healthcare interest or imaging specialty: Anatomy, Physiology, Magnetic Resonance, Computed Tomography, General X-ray, Ultrasound, Cardiovascular, Nuclear Medicine/PET, Patient Monitoring, Management, Nursing, etc., we offer courses for your specific learning needs. Best of all, you'll be able to select, purchase, study, test, and receive your certificate completely online at your convenience – anytime, anywhere! If you are not registered with the Philips Online Learning Center, click on “Registration” and simply follow the online instructions to create your personal account. Be sure to indicate your specific profession so we can regularly update you on new, relevant courses and discount programs. If your organization has an Online Education Account, be sure to enter the facility’s Account ID number. This will give you access to CE credits purchased in bulk by your organization. As an individual account holder, you may purchase courses one by one as required for your immediate certification needs. Browse through our “Course Catalog” where we offer more than 800 accredited learning activities. Choices include tutorials, case studies, clinical challenges, and webinars. Place your selections in the ‘shopping cart’ and enter your credit card and billing information upon ‘checkout’. If you entered an Online Education Account ID number during the registration process, your purchase will be automatically deducted from your respective bank of CE credits. If not, you will have the option to go back and change your profile to include this information. Manage and report all your educational activities through “My Learning Activities” page. There you may access all your courses, track progress, review tests, and print certificates and detailed CE reports. PLEASE NOTE: These learning activities are meant to be taken online and cannot be printed for offline use. Many of the activities are interactive and use Flash and Java. If you are participating as part of an Online Education Account and have been assigned to a ‘virtual’ classroom, you can view this assignment in this area. Tutorial Style Courses: Tutorials are textbook style lessons that also make extensive use of diagnostic images, photography, educational graphics, video clips, animations, quizzes, and games to enhance the learning process. Webcast with Narration: Theses learning activities use a slide show type of format with video of expert presenters to help guide you through the course material. Multimedia tutorial with interactive audio and video: Interactive self- paced learning with narration for each page and easy-to-use navigation are combined for a complete audio and visual learning experience. 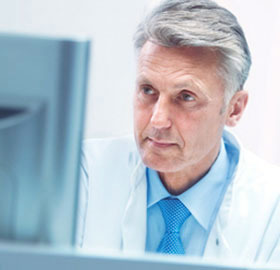 Case Studies: Case Studies combine a patient’s history and medical symptoms with diagnostic skills from different modalities to create a learning experience based on an actual clinical case. Podcasts: Courses expertly presented in a lecture style format for people who enjoy learning by listening. Live Instructor Led: These courses are conducted using Adobe Acrobat Connect, which allows the instructor and learners to interact during the class. Audio, video, and print support materials such as outlines and course transcripts can be downloaded directly from the classroom. Video Courses: Recorded video of course instructors presenting subject matter training with informational slides and demonstrations. Medical Games: Test your skills with these free interactive medical games that range from renal anatomy to vascular imaging, from CT to X-ray to MR.
Curriculum: A curriculum is a series of courses that must be taken in order. Each course in the series is designed to build upon your newly acquired knowledge and skills. For each successfully completed course in the series, you will receive credits and a course certificate. Upon finishing the series, you will be issued a certificate of completion and full curriculum credits will be awarded to you. Bundles: Course bundles are a convenient way to purchase a group of related courses at significant cost savings. The individual courses will be added to your learning activities and can be taken in any order. A certificate and credits are awarded for each course that you complete with a passing score. Courses available on CD-ROM: Some of our courses can be purchased on CD. You can take these courses on your computer without having to be connected to the internet. All oral healthcare courses for dental professionals are accredited by the Academy of General Dentistry. Courses are listed in the course catalog and found under the heading “Dental Professional Courses,” located on the left-hand navigation menu. For a complete overview, please see our Education for Dental Professionals page. For more detailed help, visit the Philips Oral Healthcare – Sonicare page within the Help section. It is the policy of the Philips Online Learning Center to refund your purchase of any course for any reason as long as you have not completed and received the CEUs up to six (6) months after the date of purchase. The refund only applies to the CEU charge; charges for media (CDs) and shipping will not be refunded. You may retain (and use) the CDs not for credit. In cases where a “buy one, get one free” special or another type of discount program is offered, you may not request any refunds if you have already completed one or more courses in the special or discount program and have received your certificate(s). Contact the Philips Learning Center at: olcadmin@philips.com or call 1-800-692-4295 to initiate a refund request. Once you have purchased a course you will have access to the assessment test for up to six (6) months depending on the expiration date of the course. Be sure to check the course description area to see how much time you have to take the test. In most cases, the passing score for the assessment test is 75%. In some cases, it may be lower; however, the passing score you must achieve is communicated immediately before the assessment test begins. Your access allows you to take the test a maximum of three (3) times. If you do not pass the test after three tries, you will no longer have access to the course content. Once the test has been passed, you can view or print your certificate for up to four (4) years. After successfully completing the course, an official certificate of completion, which you can access and print at any time for your records or supply to your registry when required will be available to you. Radiologic Technologists who are members of the ASRT will have their credits electronically transferred upon successful completion of a course. Please note that if you take SDMS accredited courses, you will need to print the certificate and mail or fax it to the ASRT. The ASRT database does not contain the accreditation number assigned by the SDMS so they will need to manually record it in your profile. Download a PDF copy of the system requirements. For general inquiries, email us at olcadmin@philips.com. If you have lost or forgotten your password, you can go to the Forgot Your Password? page. Enter the email address that you used to register and a new temporary password will be immediately sent to you. If you cannot remember the email address you used when you registered, call our customer service desk for assistance. Please do not register again!